I just love what one can do with these magnifying cabochons! 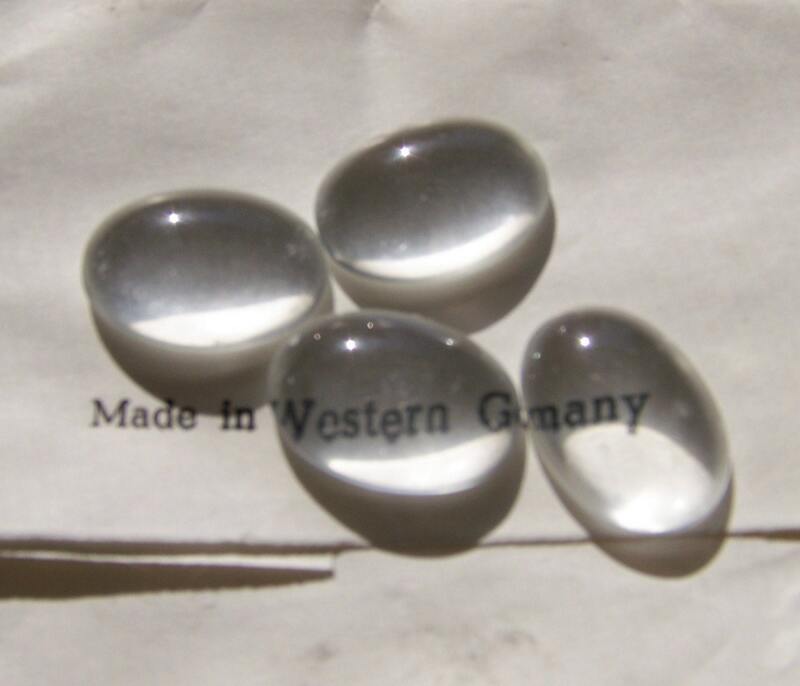 These are vintage clear glass from Germany. They measure 18 X 13mm. You will receive 4 of them.